Glacier viewing at either Glacier Bay National Park. 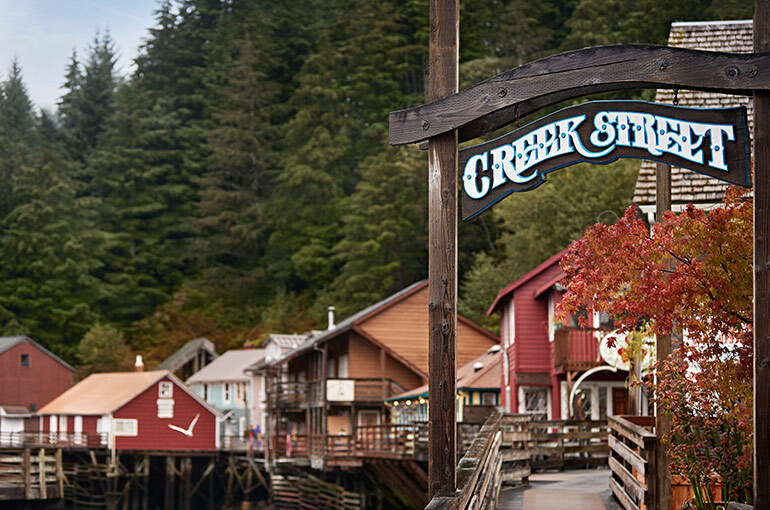 Calls in authentic frontier ports if Juneau, Skagway and Ketchikan, where activities range from historic walking tours and salmon fishing to hiking on a glacier. An evening in the charming British Columbia city of Victoria, where you might choose to visit the spectacular Butchart Gardens. 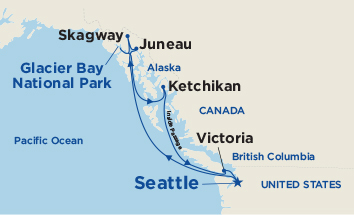 Sailing along the sheltered, glass waters of the breathtaking Inside Passage with Princess, you'll be awed by scenery that shifts from forested shorelines and rocky islets to glacier-capped mountains.Watch for wildlife on the shore, in the sky and in the water, as you sail for quaint, gold rush-era towns like historic Skagway, friendly Ketchikan and the state capital og Juneau. 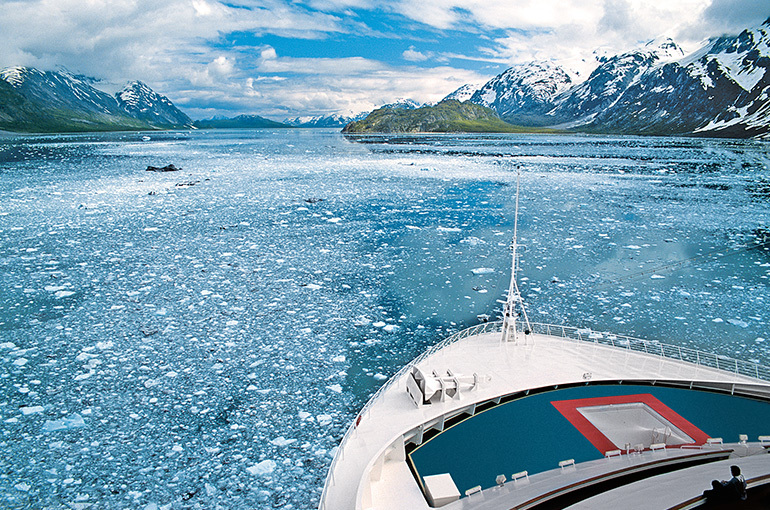 And you'll have glacier-viewing opportunities at pristine Glacier Bay National Park. Known for its rainy climate, Seattle actually averages less annual rainfall than many East Coast cities. The mild weather, spectacular natural surroundings and rich cultural diversity attract visitors from around the world. Just west of Juneau, this breathtaking national park and preserve boasts some of the world's most spectacular tidewater glaciers, such as Margerie Glacier, which often drops colossal chunks of ice into the sea. Not surprisingly, Glacier Bay National Park and its epic ice giants are part of a UNESCO World Heritage Site comprising Alaska's magnificent park system. During your scenic cruise, friendly Park Rangers will join the ship to share their knowledge of this amazing place and host a fun Junior Ranger program for kids. They may even be able to help you identify Glacier Bay's abundant wildlife, including humpback whales, sea otters, porpoises, harbor seals, black bears, mountain goats, bald eagles and large colonies of seabirds. Take in the awe-inspiring scenery as you enjoy an unforgettable day of sailing through this dazzling park, where you'll glide along emerald waters and past calving icebergs, and can breathe in the crisp, fresh air to your heart's content. Victoria exudes old-world charm and fragrant and colorful flowers are everywhere. Founded in 1843 by James Douglas of the Hudson's Bay Company, the city was first known as Fort Victoria. By 1848, Vancouver Island was a British colony and Victoria was its capital.